Android 8.0 Oreo released a few months ago, and non-Google devices have not received the update yet. Today, Sony has become the first OEM to initiate the rollout of Oreo update for its flagship smartphone the Xperia XZ Premium. The update has started rolling out today in a phase-wise manner. It means that even though the update has been pushed, its availability depends on the region or carrier. The company took to its blog to announce the update and also share features that will be debuting on the Xperia XZ Premium with Oreo. 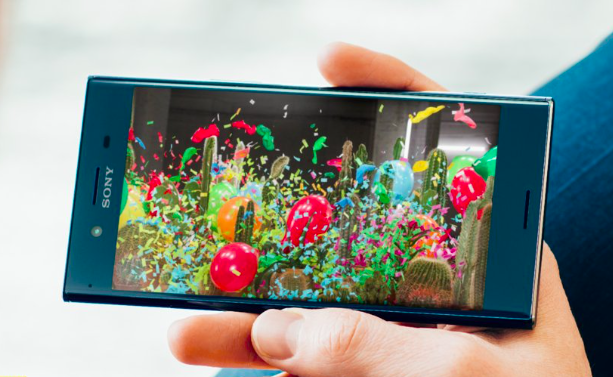 The update will bring 3D scanning feature and 3D Creator on the smartphone – something that Sony had promised in September. These functions first appeared on Sony’s Xperia XZ1 and XZ1 Compact smartphones. The 3D scanning and creator features let users scan an object to produce a 3D render. Alongside, Sony has also added two new camera features – Predictive Capture (smile) and Autofocus Burst. Predictive Capture feature clicks photos automatically when it recognises that the subject is smiling, pretty much like the smile shutter feature that we have seen on Sony’s digital cameras. The Autofocus burst can be used to capture better pictures of moving objects. It makes sure that you get less blurry images. Not just camera features, this update also improves the sound quality of the phone. Sony calls it “tuning improvements” for the front-facing speakers. It also adds support for aptX HD audio along with Oreo’s new app shortcuts. It’s worth mentioning that among all the OEMs, Sony has been performing better when it comes to pushing updates. The update may take a week or two to hit your Xperia XZ Premium. HTC is also gearing up to provide Android 8.0 Oreo update for HTC 10, U11 and U Ultra. Today, we have learned that the company may push the update to the U11 by the end of next month or early December. Currently, the HTC U11 runs Android 7.1.1 Nougat with HTC’s proprietary Sense 9.0 skin on top. According to the information leaked by the serial leakster LlabTooFeR, Android 8.0 Oreo update for the HTC U11 is currently in final stages of development and will be released next month, most likely. Once the update reached HTC U11, we can expect the company to start the process for the HTC U Ultra and HTC 10. With the arrival of Oreo, HTC U11 will get an array of new features. Some of the notable features include Picture-in-Picture mode, Notification Dots, and Android Instant Apps, and Autofill. The update will also improve background data usage, connectivity, and battery life on the device. Check out our review for the HTC U11.